Photos courtesy of Scottish Screen Archive at the National Library of Scotland. 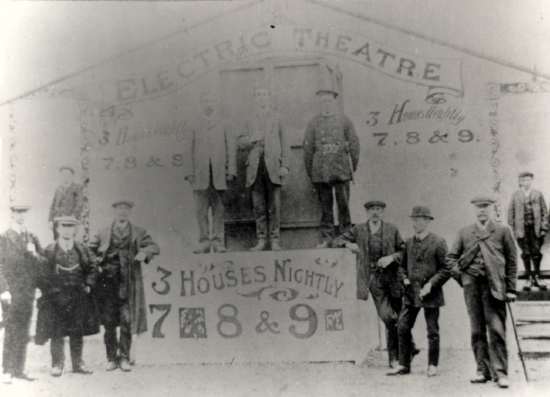 Photo c. 1908 - believed to be the earliest cinema in Dundee. Portable booth with wooden walls and canvas roof.